Dr Kirsty Stuart is a Radiation Oncologist at the Westmead Breast Cancer Institute and Department of Radiation Oncology Crown Princess Mary Cancer Centre, Westmead Hospital, sub-specialising in breast cancer. Dr Stuart completed her PhD in DCIS in 2015. 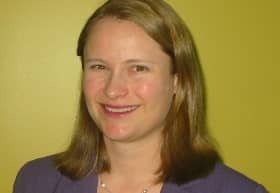 She holds a number of positions supporting both breast cancer research and practice including Cochrane Breast Cancer Group Editor, and is a member of the Westmead Breast Cancer Institute Clinical Advisory Board and Research Advisory Committee.